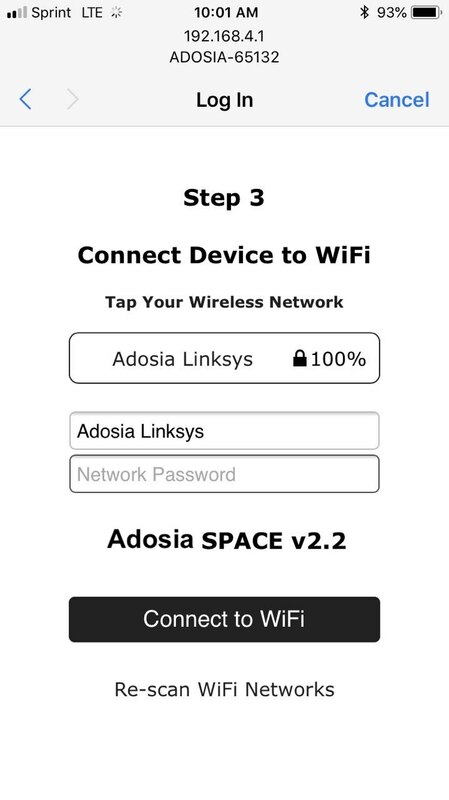 Adosia WiFi hardware and accessories can be purchased at the Adosia IoT Store (adosia.io). 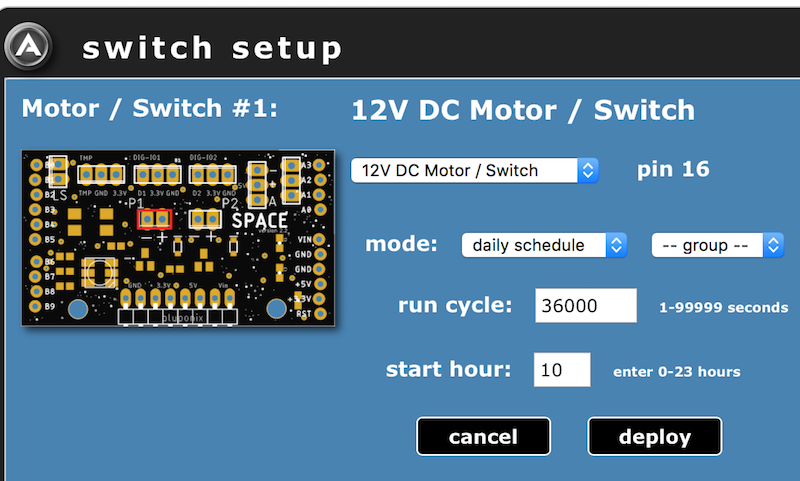 Relays components that can be tied to digital outputs and are used to switch higher power AC devices on and off. 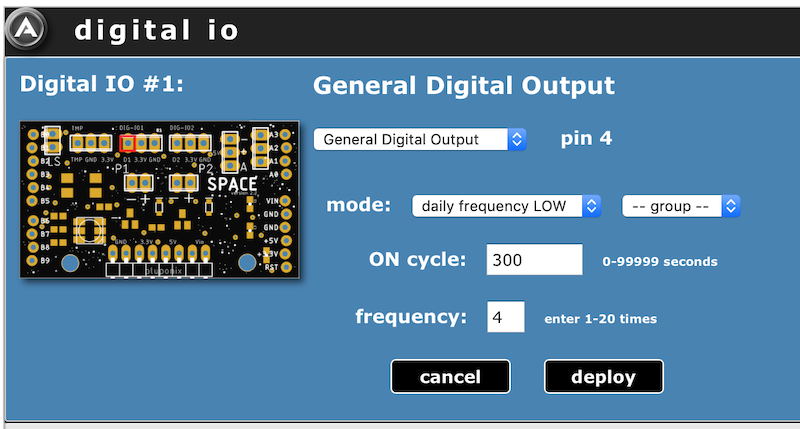 Relays greatly expand the capability of any system and can be activated using Digital IO #1 and/or Digital IO #2 set to General Digital Output when editing a device profile. 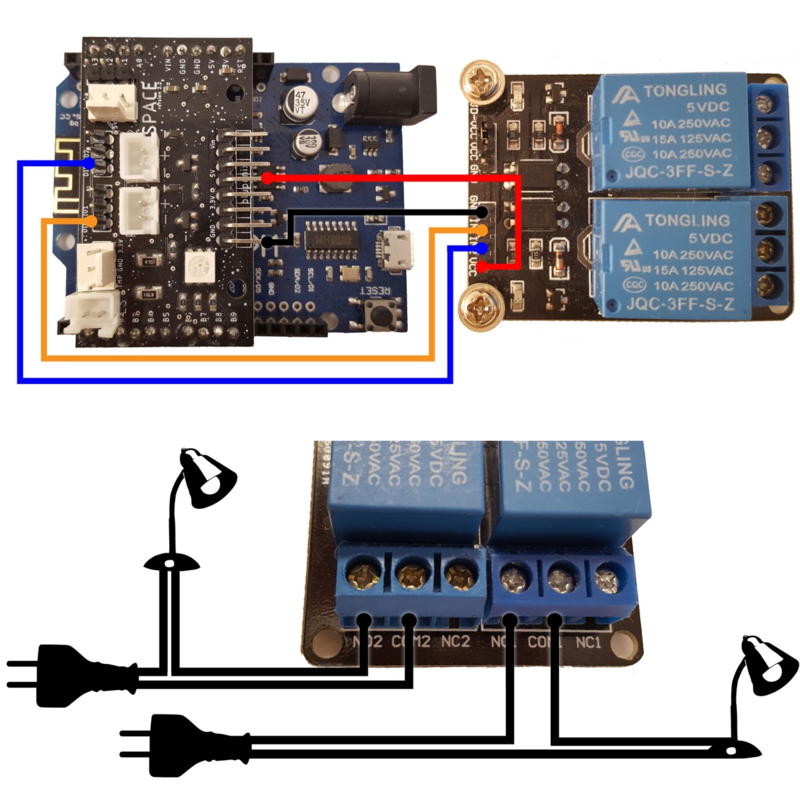 The relay module Adosia ships is activated using a LOW signal profile setting mode, and each relay can switch up to 15A at 120VAC or 10A at 220VAC. 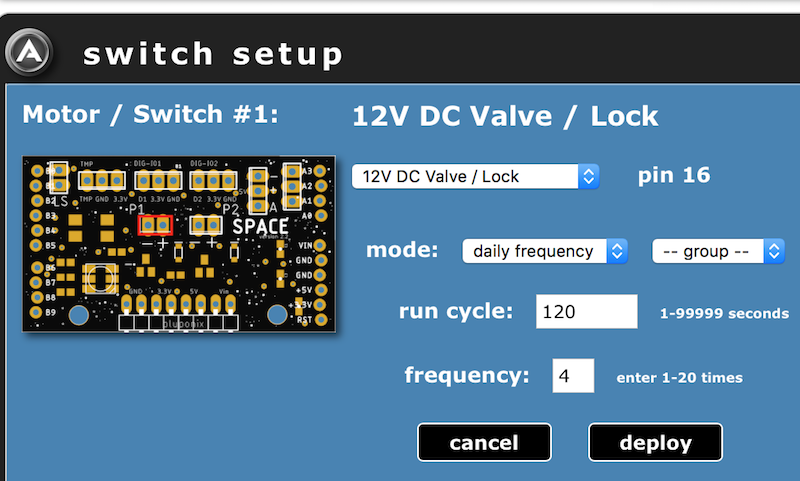 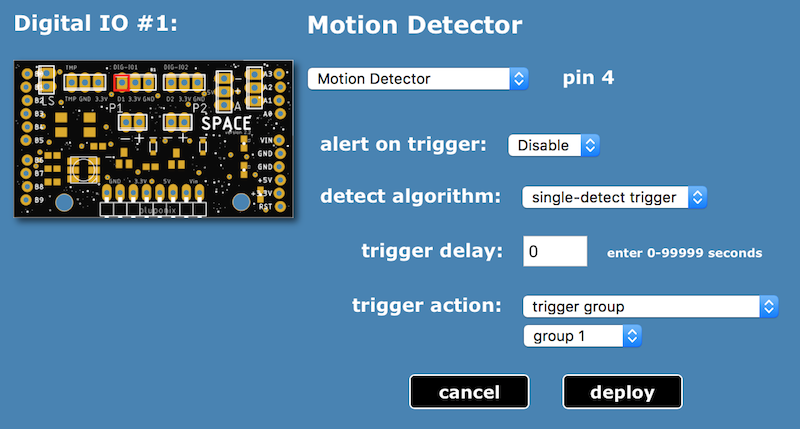 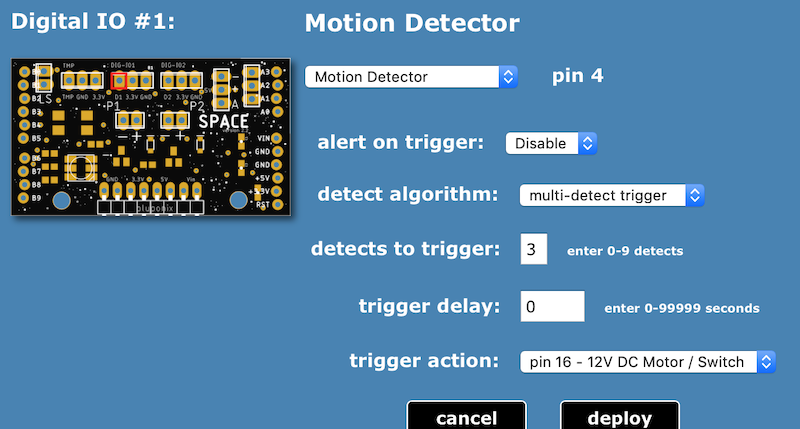 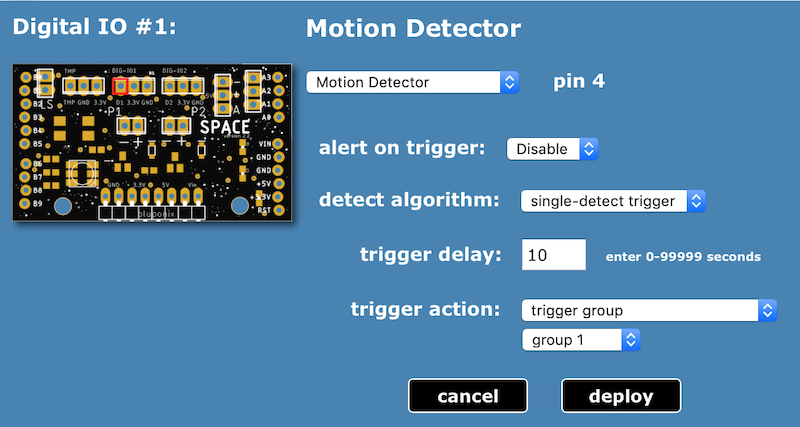 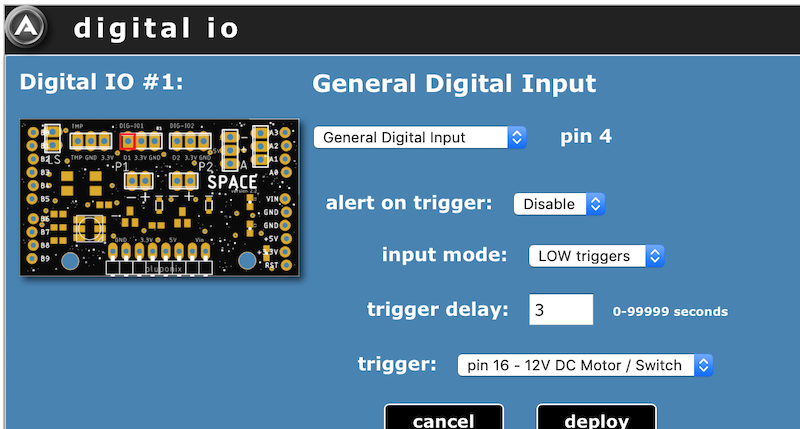 Supply 5V to the relay module allows the 3.3V output signals from the SPACE IO board to trigger the relay. 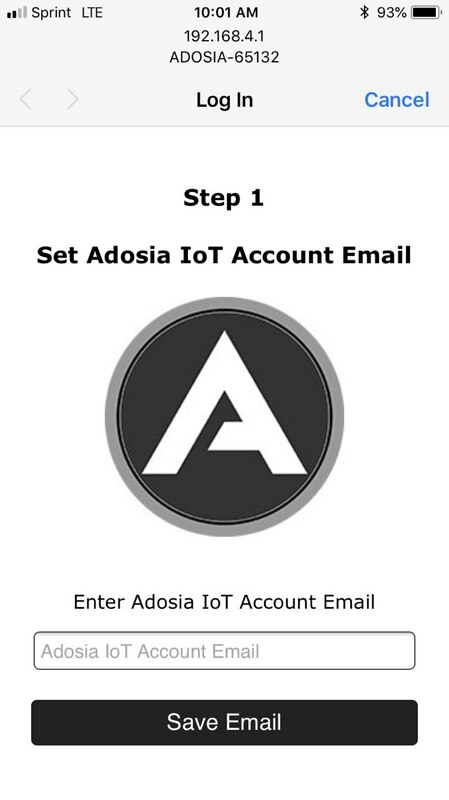 The Adosia system programs WiFi devices by using IoT device profiles that have been preconfigured for specific use cases by Adosia platform users. 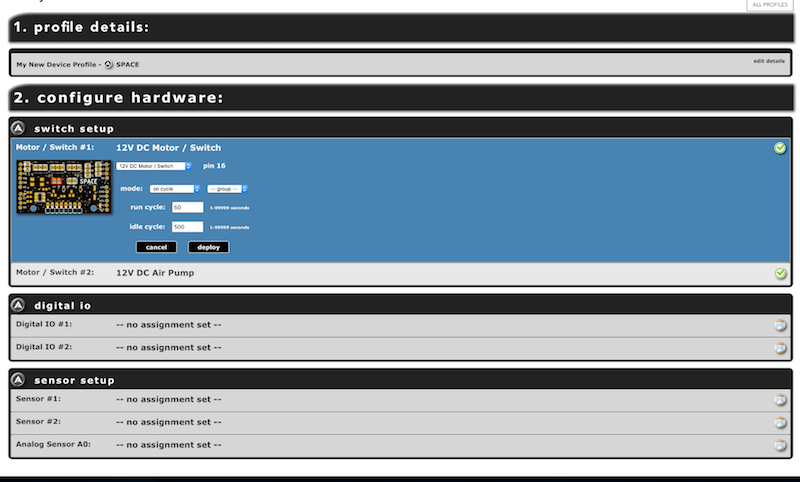 Updating device profiles enable our users to simultaneously manage multiple devices that have been assigned the same IoT device profile. 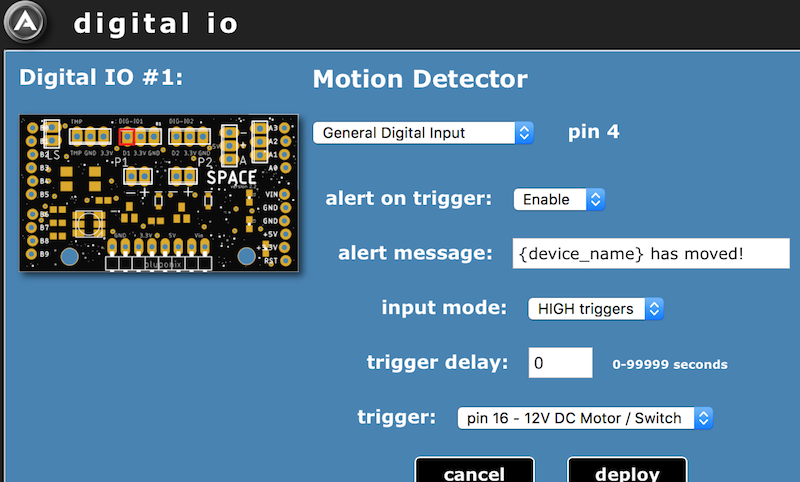 WiFi devices can also be set to schedule different device profiles to become active at specific times throughout the day. 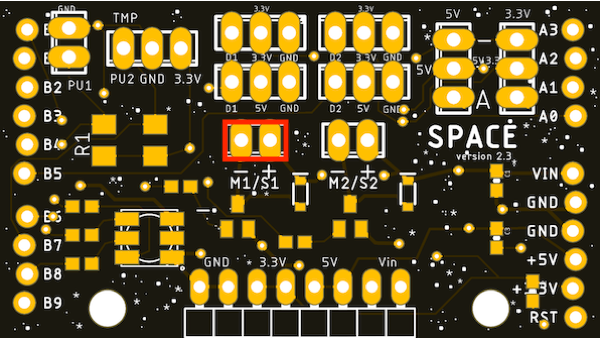 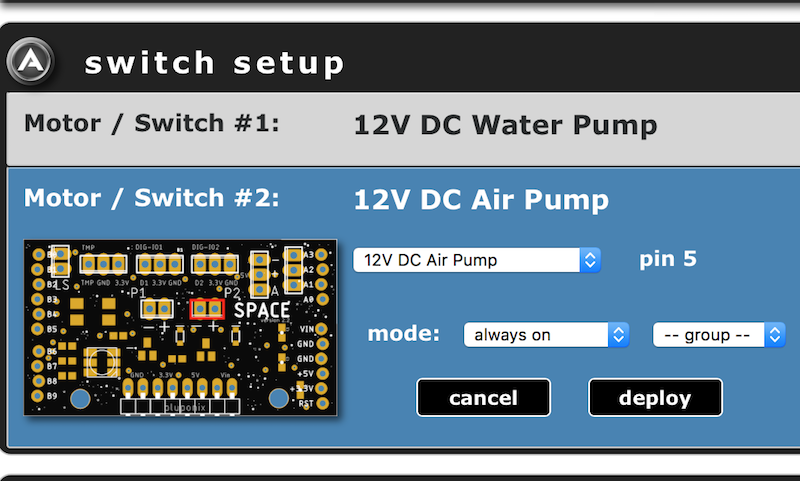 Each component plug-in or socket area of the board is highlighted by a red box on the board image displayed when specifying specific operating parameters for each area or pin of the board. 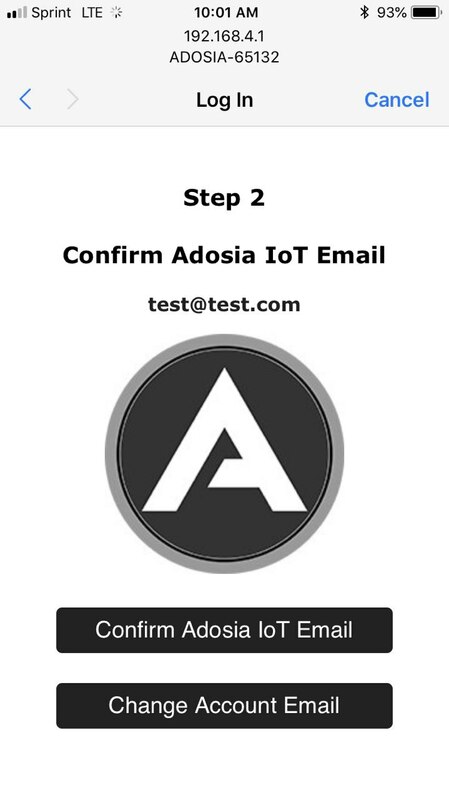 IMPORTANT - Once the deploy button has been clicked for each area, devices assigned to the newly configured profile will be set to update the next time each respective device checks in with Adosia's servers. 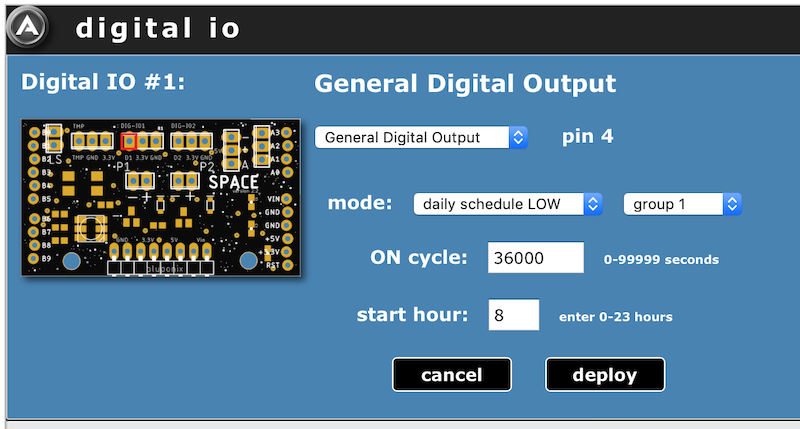 The Adosia SPACE IO board has two (2) channels dedicated to digital IO. 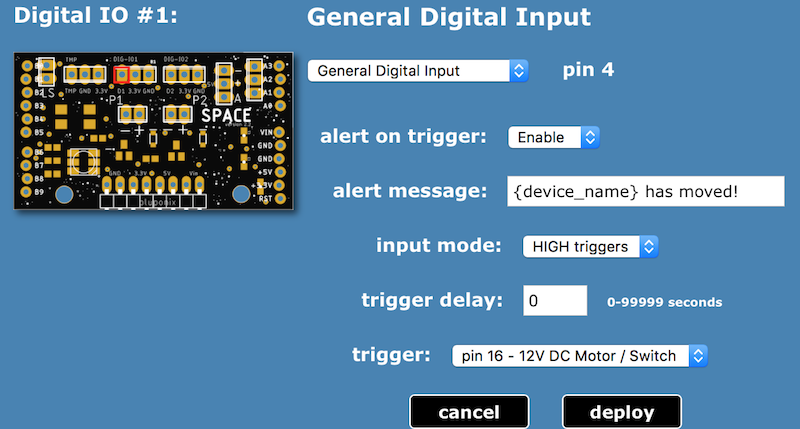 These channels are rated at 3.3V can be configured to either digital input mode, digital output mode or motion detector. The maximum voltage on the pins is 3.3V (input or output). 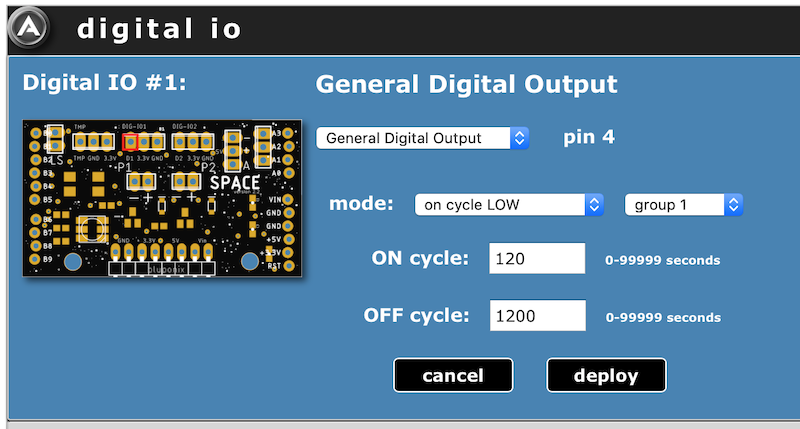 Digital IO channels utilize an internal pullup resistor when set to digital input mode, meaning the relevant pin will evaluate HIGH when no sensor is connected. 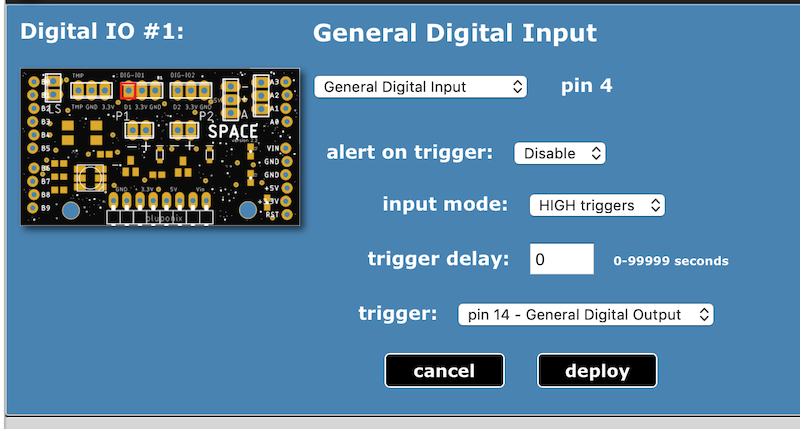 To trigger an input on high, the attached input component (sensor or peripheral) should pull the signal low during non-triggering states. 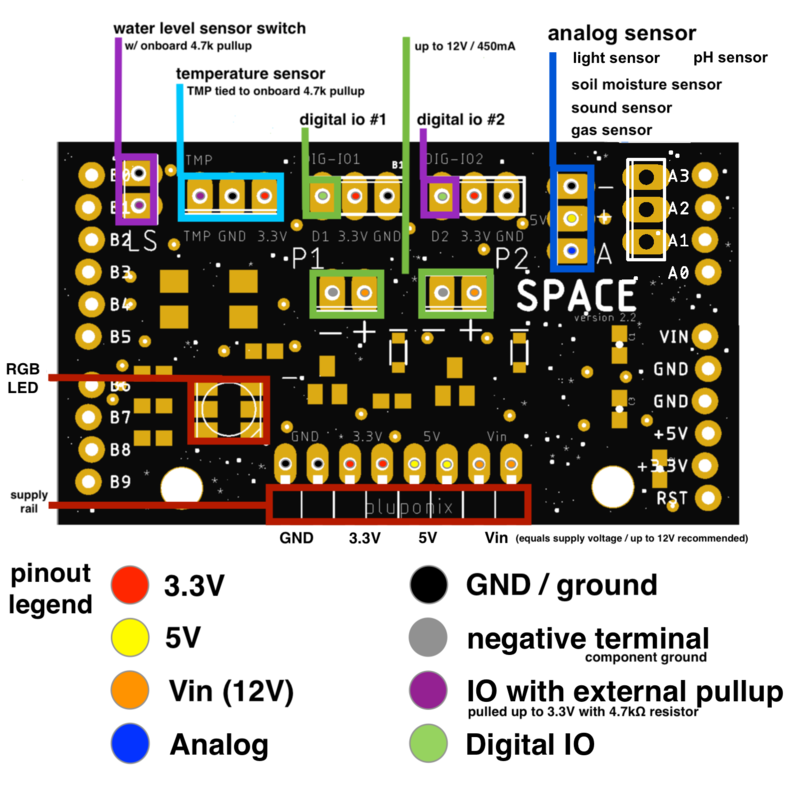 The Adosia SPACE IO board has two (2) channels dedicated to application-specific sensors and supports one (1) analog sensor. 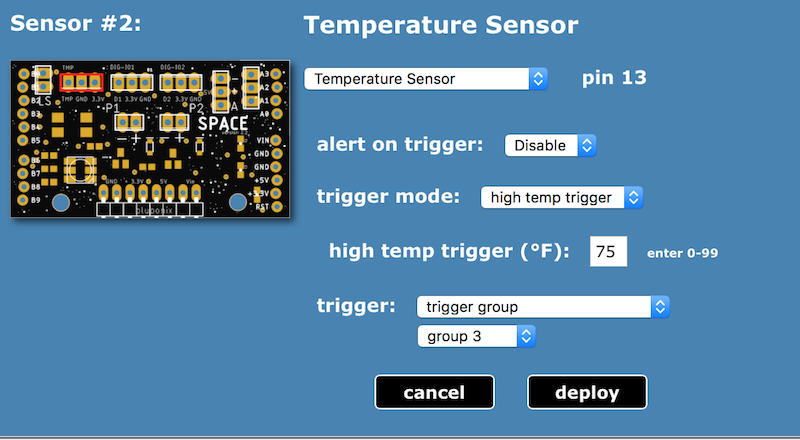 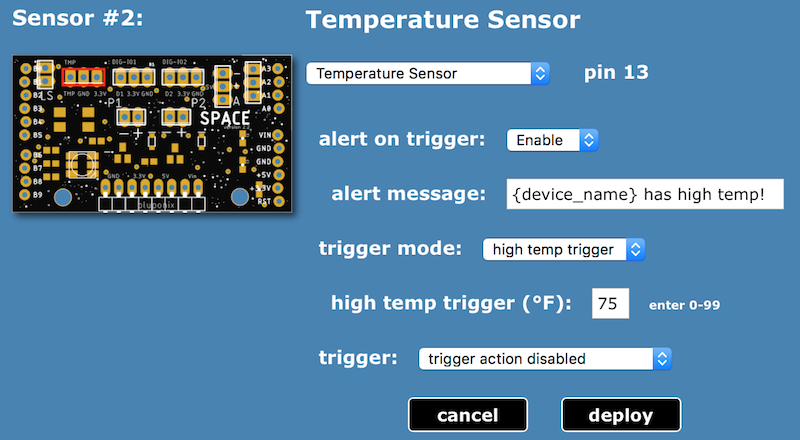 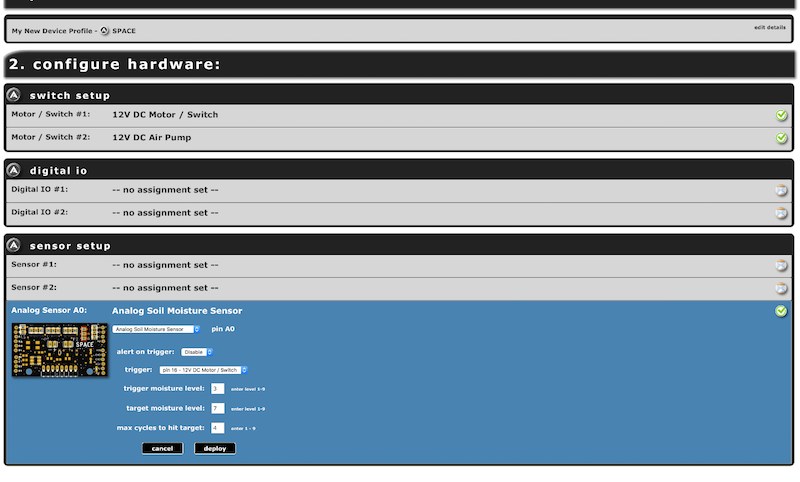 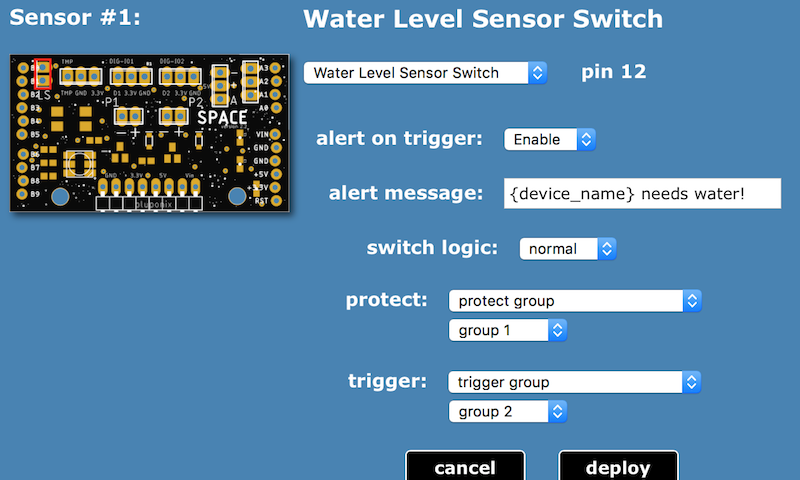 Current application-specific sensors supported include water level sensor switches and temperature sensors. 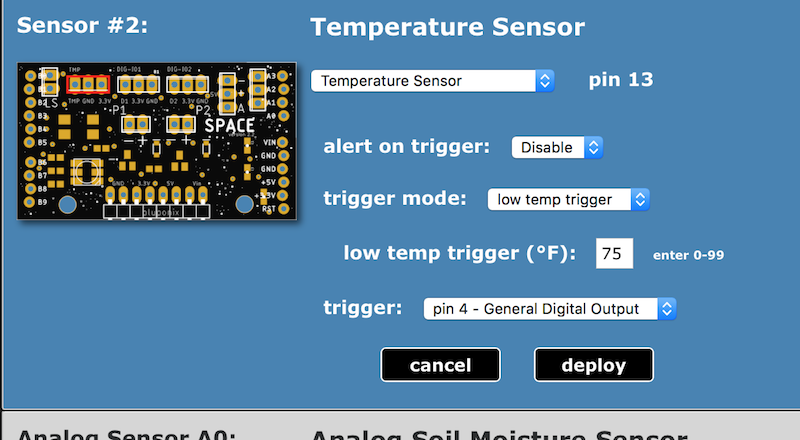 Current analog sensors supported include sensors to detect soil moisture level, natural gas levels, sound levels or ambient light levels. 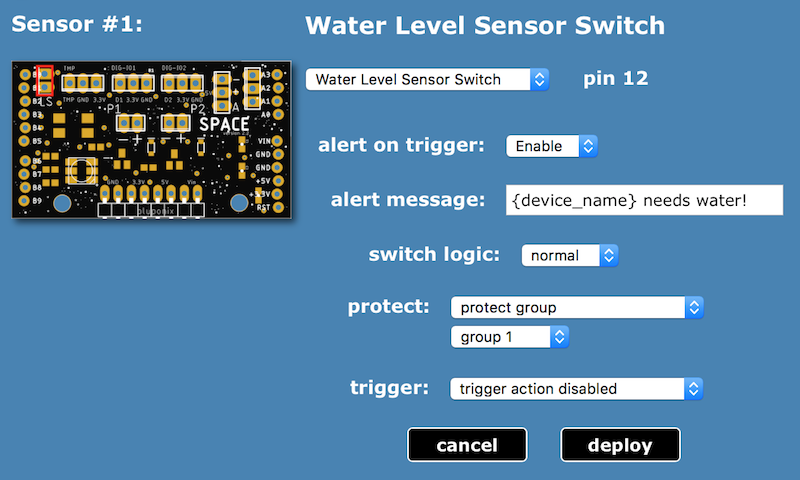 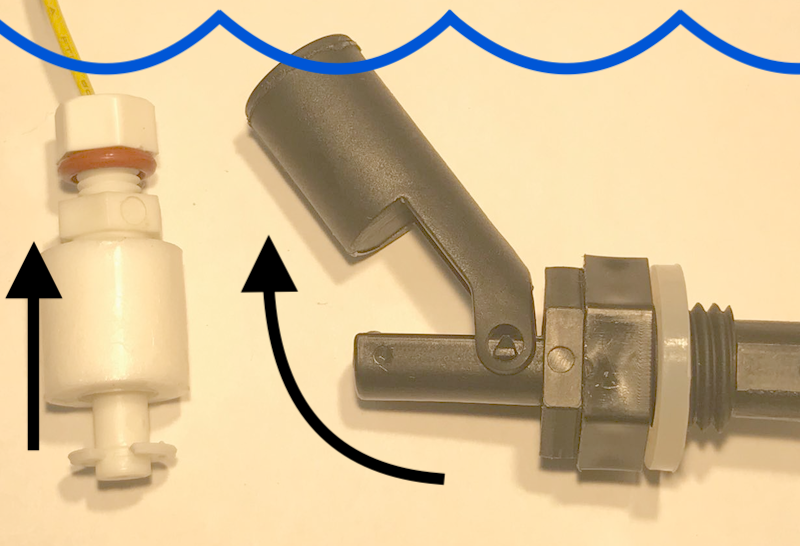 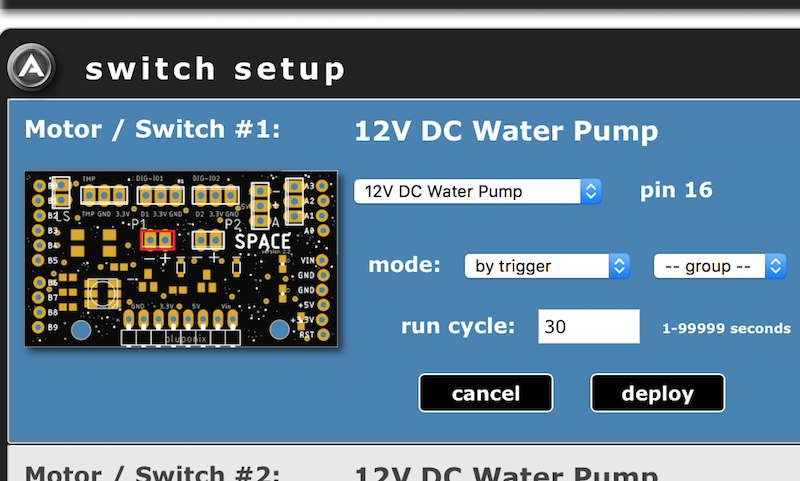 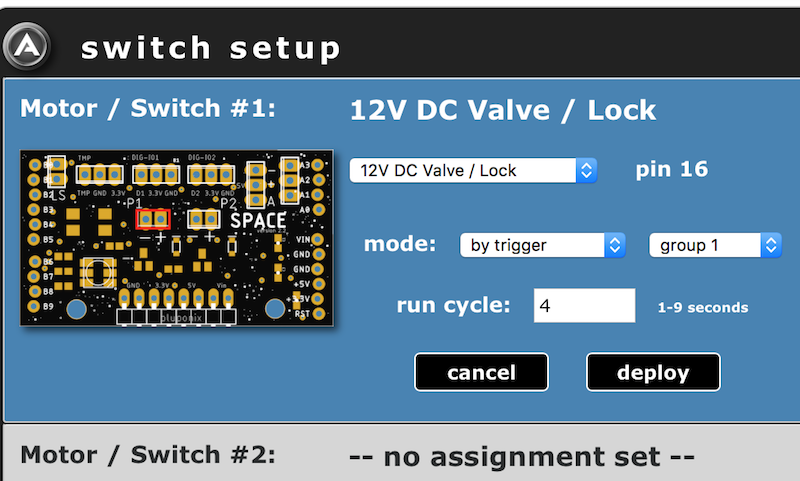 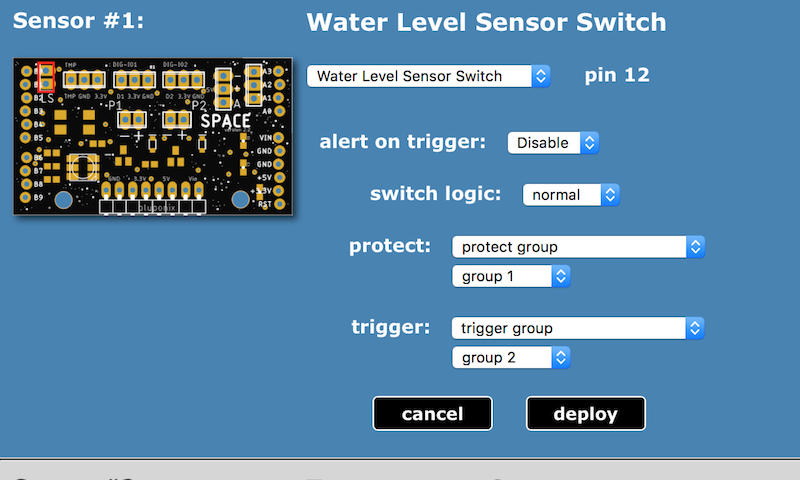 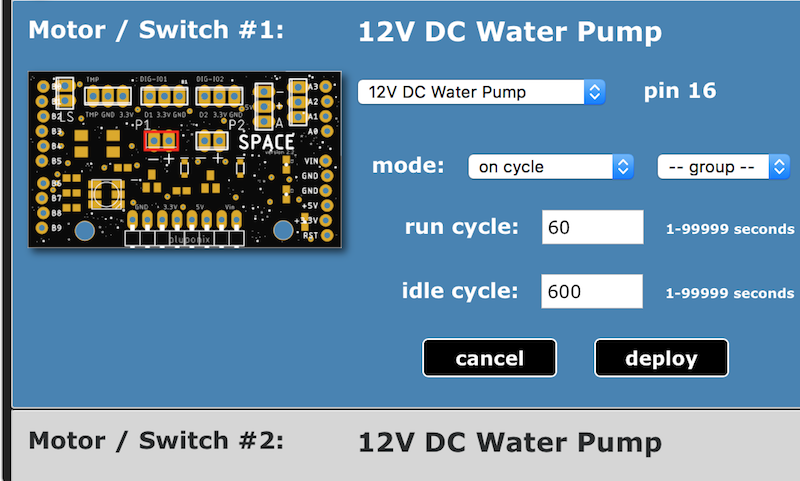 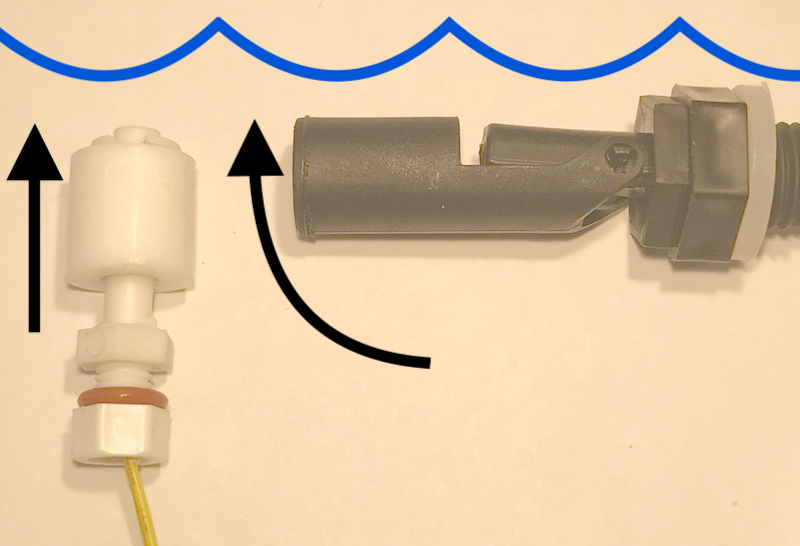 Water level sensor switches can be used to monitor state, to protect components (or component groups) from operating when triggered, and can trigger separate components (or component groups) into action whenever triggered.